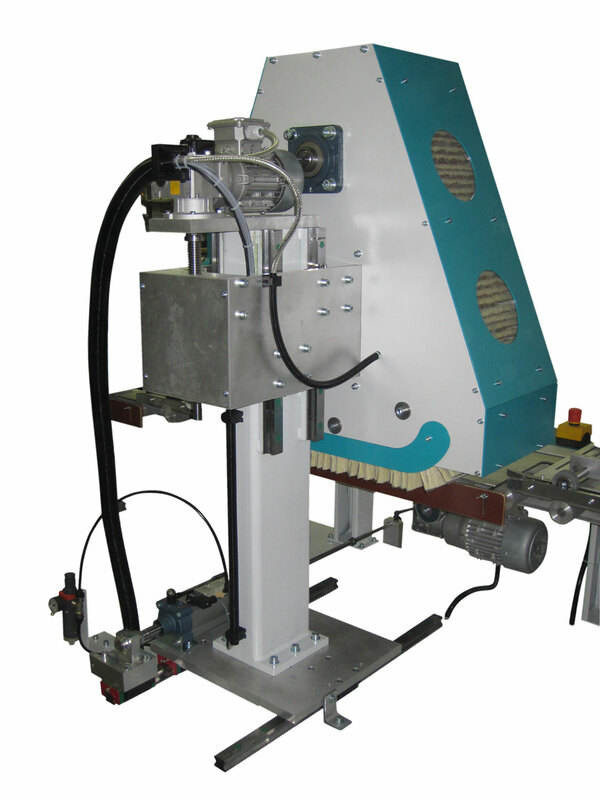 The ROBA Belt brush belt sanding system is a unique development of MB for molding and panel processing. Operational areas are solid wood, MDF und veneer sanding, as well as sealer sanding. The main idea of the ROBA Belt principle is to avoid the main disadvantage of all today known drum based brush sanding machines: Those who work normally with sanding drums with a diameter of about 310 mm touch the workpiece only in a very small area. Only in the vertex of the circumference of the tool a sanding process is possible. The innovative ROBA Belt is equipped with a totally new developed sanding belt containing 138 sanding strips providing a sanding area of approx. 750 x 300 mm in touch with the work piece. This is unique in the market of brush sanding machines for profiled moldings. The ROBA Belt machine in all configurations is built for sanding moldings found in various furniture, window and joinery companies. Solid, veneered or lacquered. 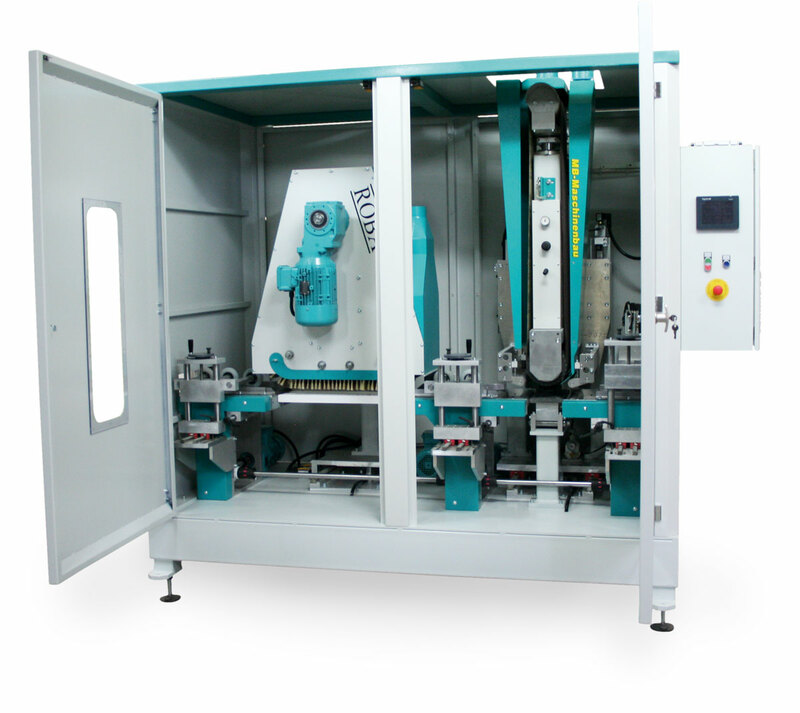 Due to the modular construction of the ROBA Belt line, the machine can be configured to every customer demand, even to a four side sanding layout. Equipped with the MB Flex brush system the machine can be set-up very easy and fast to a new profile. Divergently to the known systems based on sanding belts, the ROBA Belt brush system forgives a not strictly exact setting of the aggregates. Centralized set up for the side guides and the top pressure devices make sure that even not experienced personnel is able to maintain such a machine. 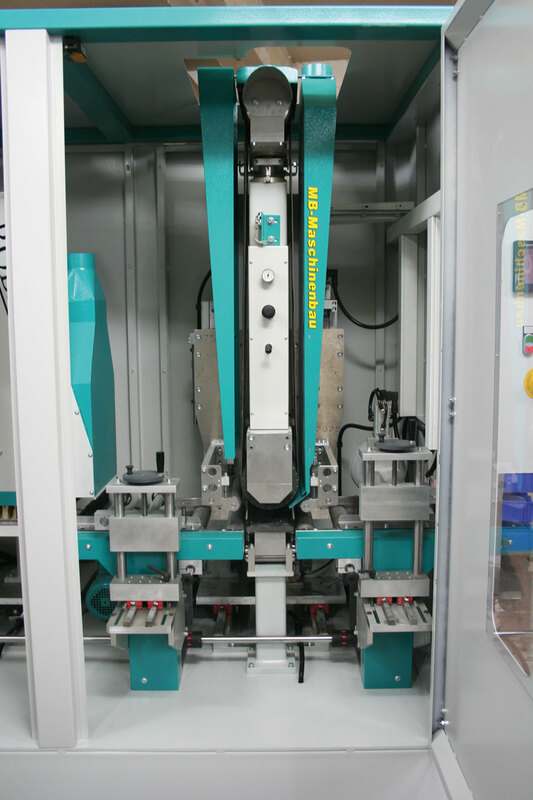 Further on this machine type is used for intermediate lacquer sanding. For that often feed speeds up to 150 m/min are necessary and often required by the customers. In this way all ROBA Belt users can rely on the easy set-up of a brush sander, without the need to take any quality disadvantages into account. Large amounts of sanding paper and large sanding area are highly effective. Pressure roller feed parts from 1100 mm length safely. Feeding back-to-back of shorter parts is also possible. Centralized set up for the side guides and top pressure system. Oscillation of the sanding aggregates for better utilization of the abrasives. Infinite variable set up of the head rotations and feed speed. High feed speeds are technical possible. Modular construction meets every customer demand without complicating the machine. Roba Belt configuration to proccess floor moldings using a BA300 belt sanding aggregate. The PLC activated and motor driven oscillation movement of all aggregates takes into account, beside the sanding belt grit, also the molding width. This ensures that the abrasives are used on the entire width.